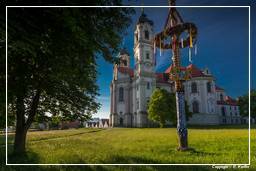 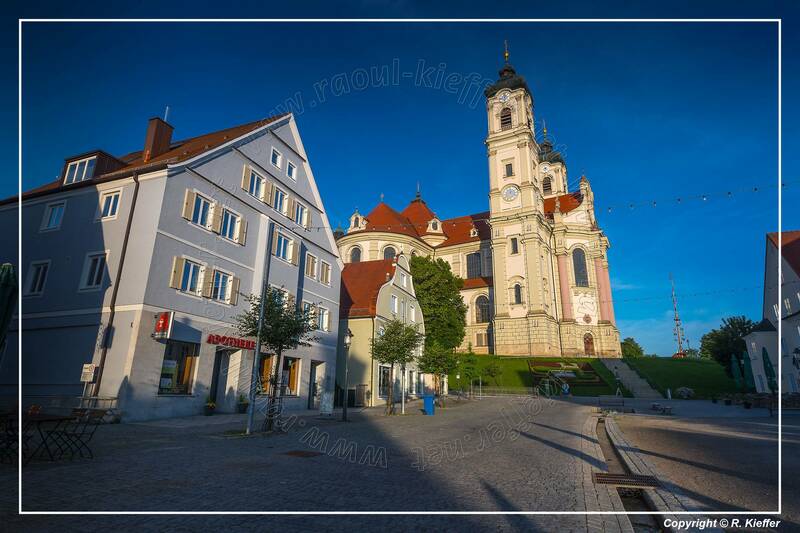 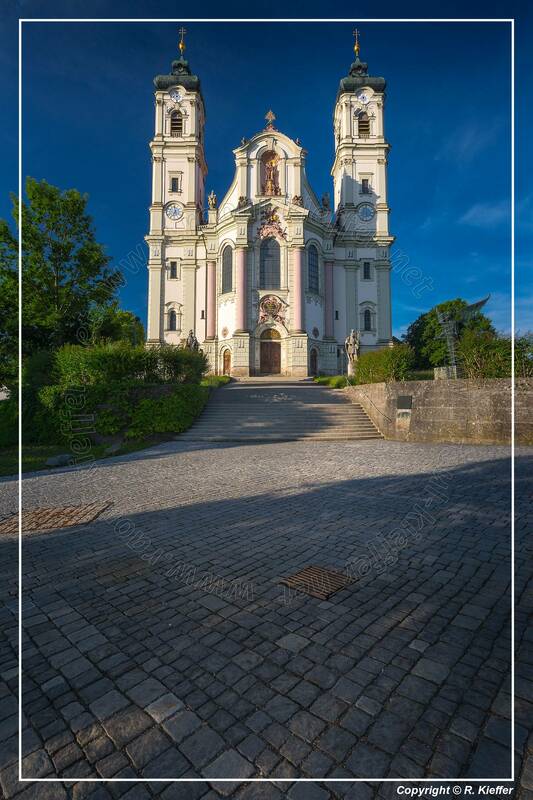 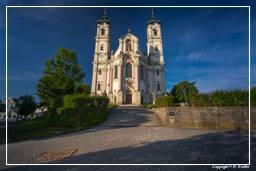 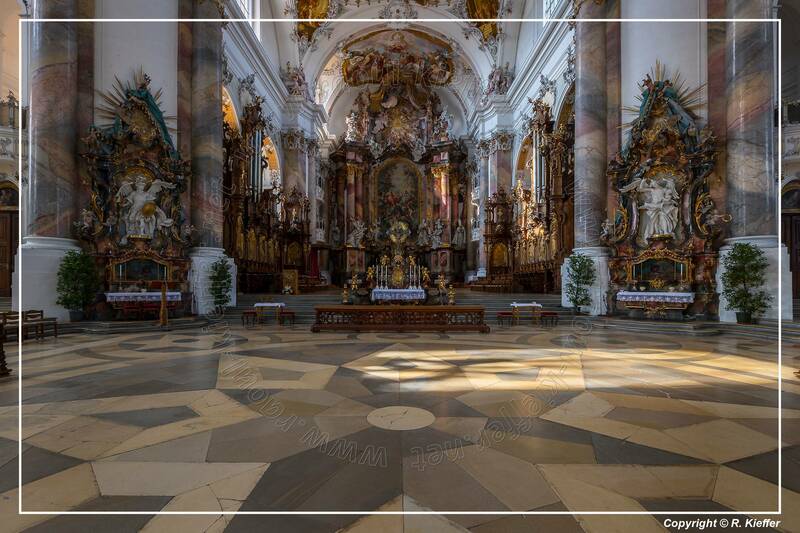 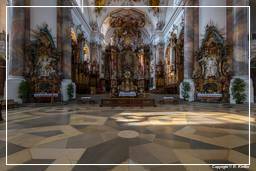 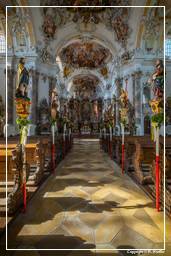 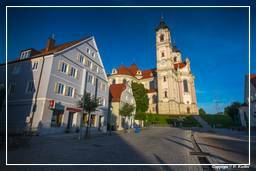 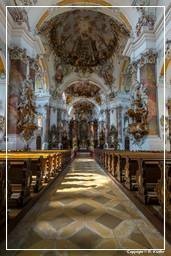 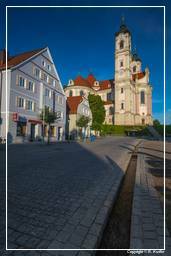 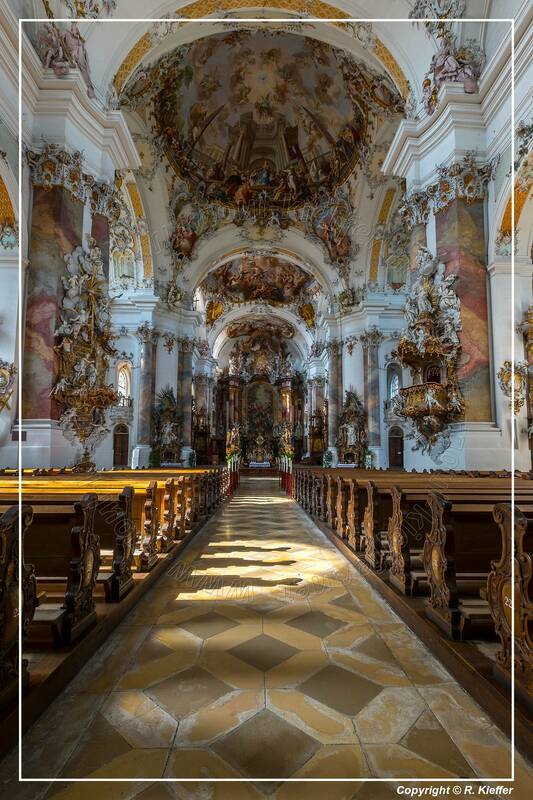 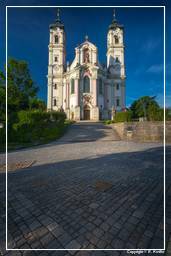 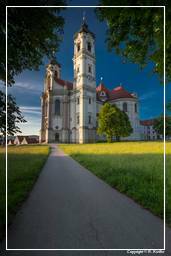 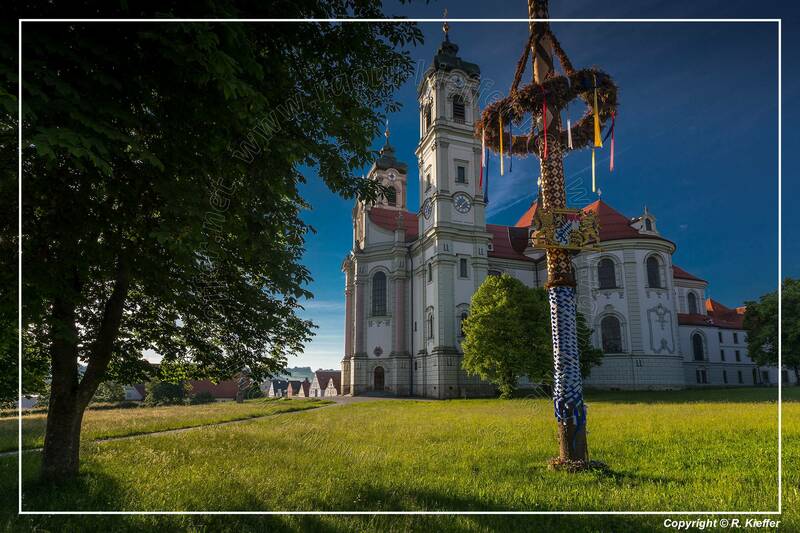 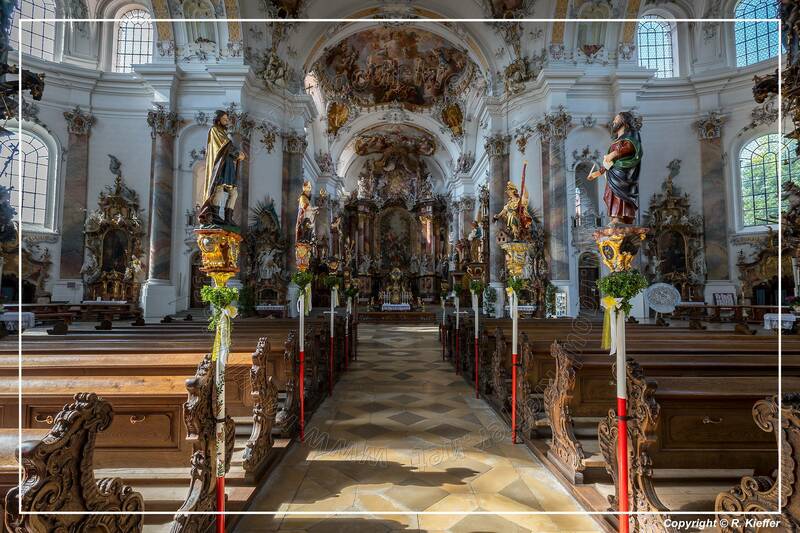 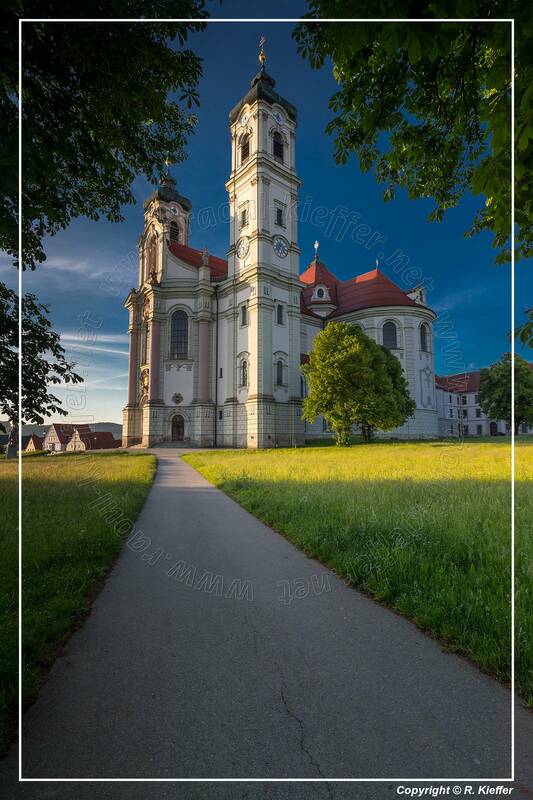 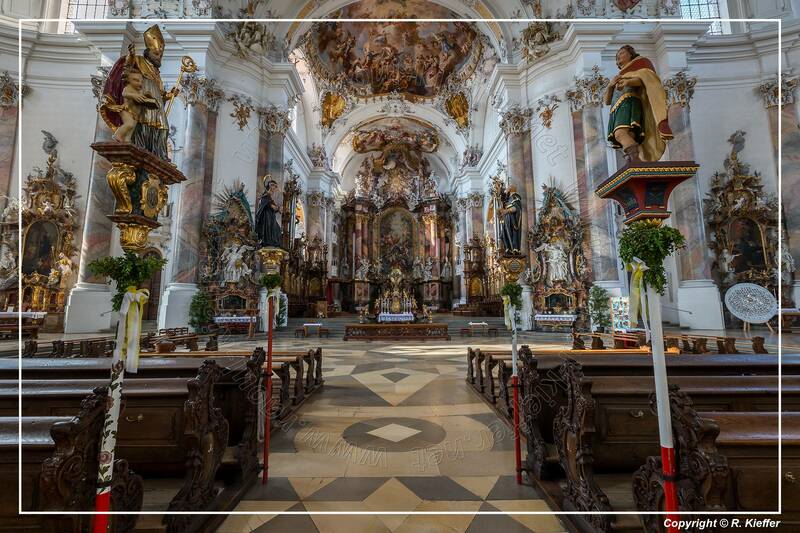 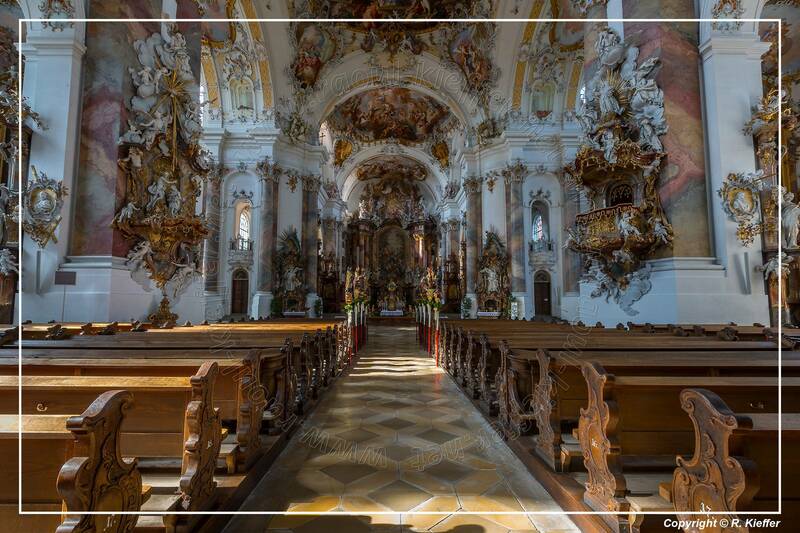 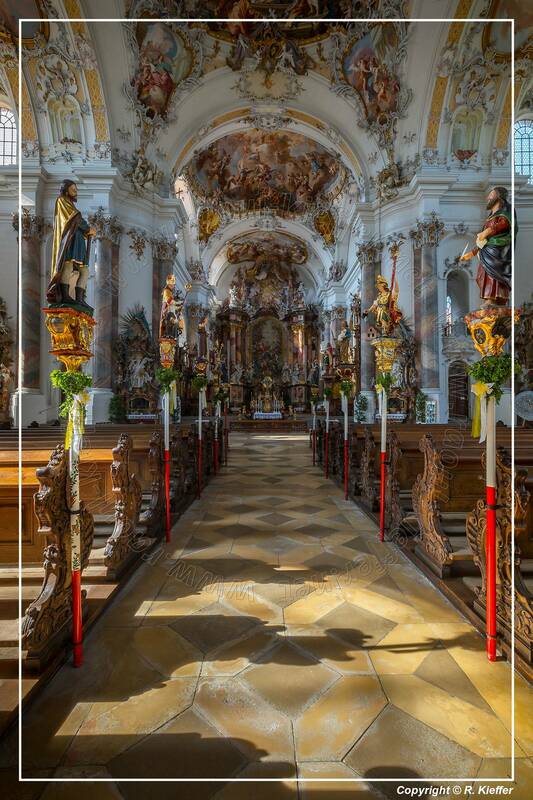 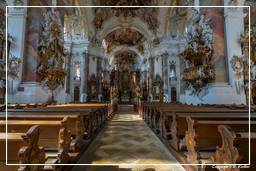 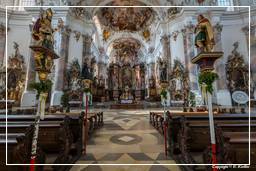 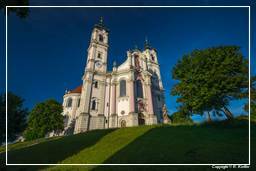 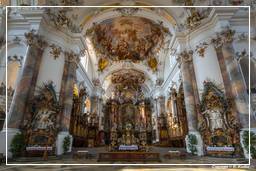 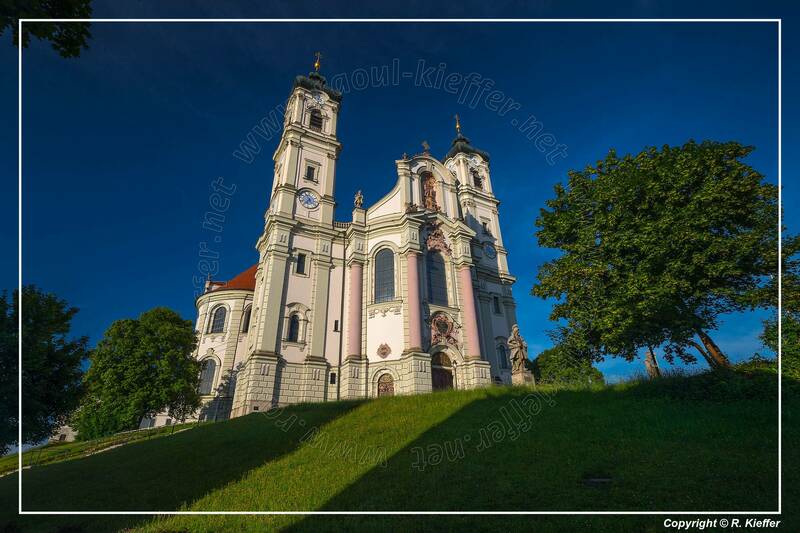 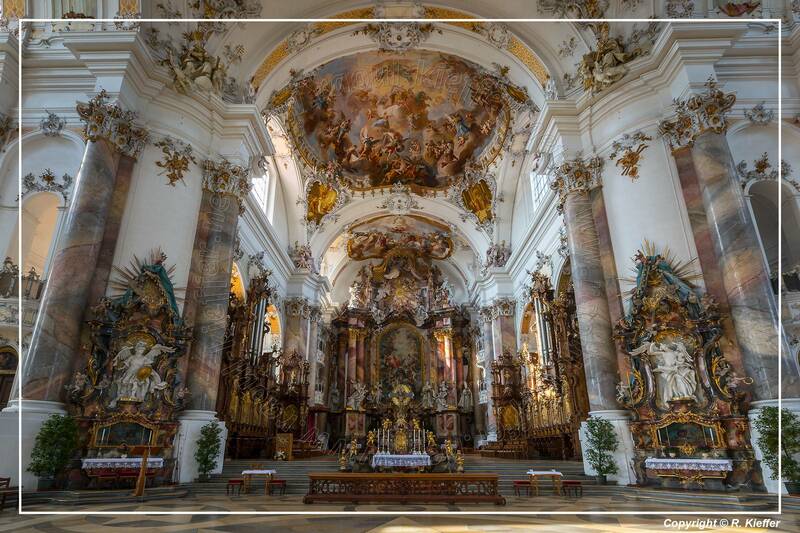 The monastery Ottobeuren is a Benedictine abbey in the Upper Swabian Ottobeuren. 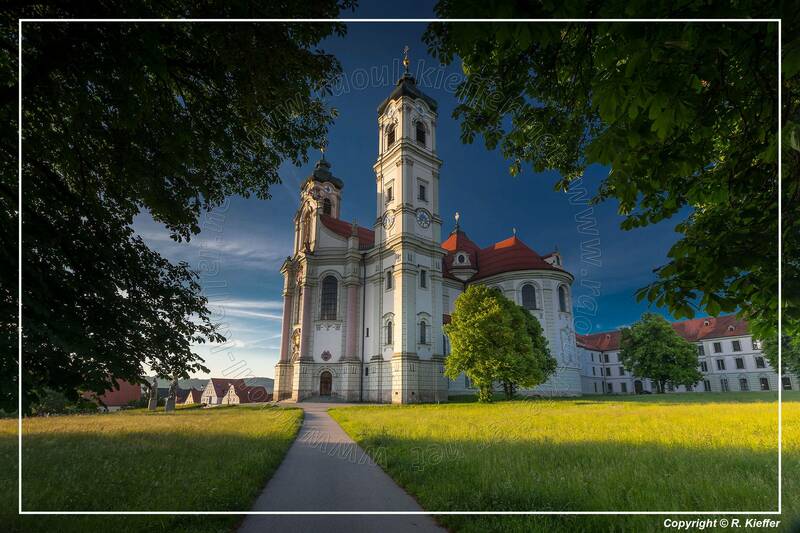 The monastery consecrated to the two saints Alexander of Rome and Theodore Tiro was founded in 764 by Silach, an alemannic noble, and 972 raised by Emperor Otto I to the imperial abbey. 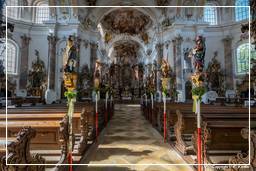 Subordinated to the Bishop of Augsburg at times, the heyday of the monastic community began in the age of church reform.